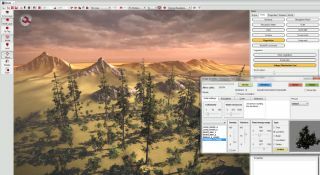 CD Projekt RED has released a new timelapse video to show off its upcoming modding tool, REDkit, which will be available free to owners of The Witcher 2 sometime in the first half of 2013. The software opens up The Witcher 2's REDengine, allowing users to create their own RPG worlds or modify The Witcher 2. Exciting, isn't it? REDkit is currently in closed beta, with 100-plus modding teams providing feedback.